MARSON L. A Rare Disinfection Handstamp. 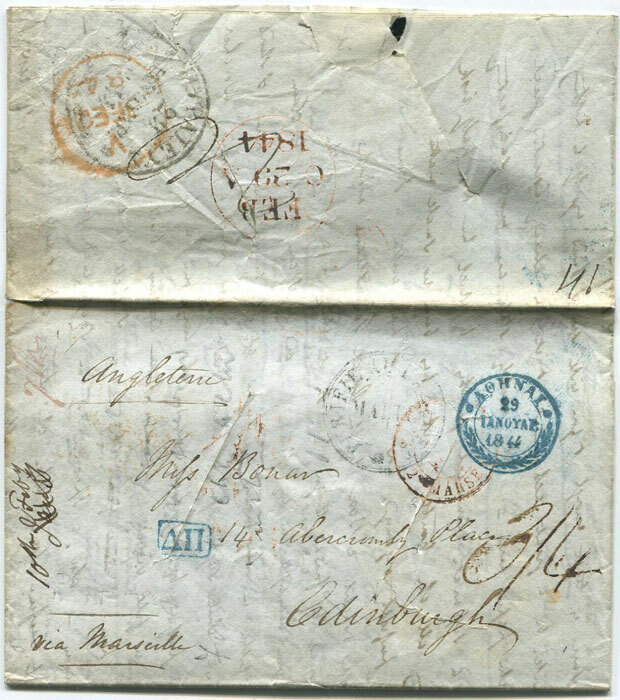 Postal History Society 1980 8pp. 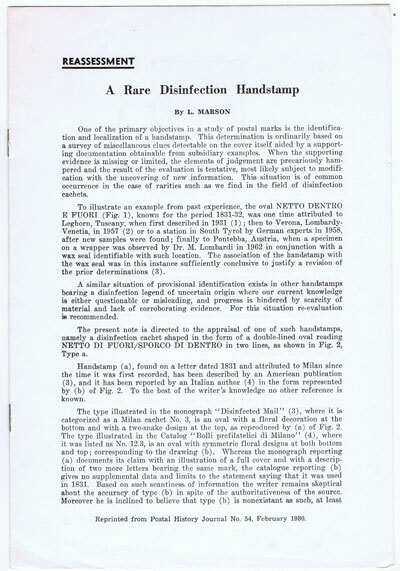 Clean in paper covers Italian disinfection marks.